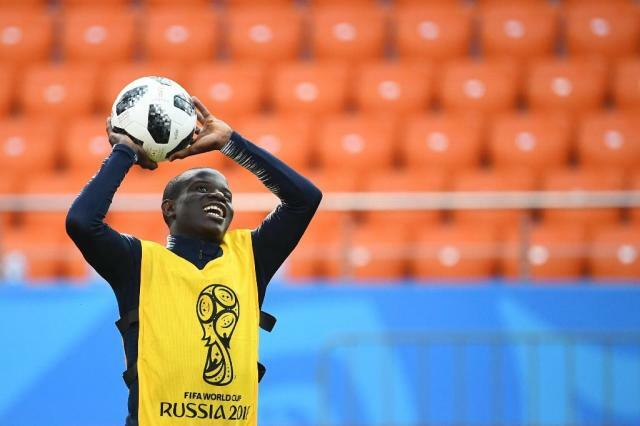 Yekaterinburg (Russia) (AFP) - Paul Pogba paid tribute to fellow midfielder N'Golo Kante after France sealed their place in the World Cup last 16 on Thursday, saying: "He has 15 lungs." France beat Peru 1-0 in Yekaterinburg to roll into the knockout stages with a game to spare. The French were on the defensive for most of the second half but Chelsea ball-winner Kante was omnipresent as he mopped up in front of his overworked back four. "We were all very good, all together. But with NG (Kante) also it's easier, he runs everywhere, he has 15 lungs," joked Pogba, the Manchester United star who has not always cut such a jovial figure when playing for France. "Football is much easier with players like that, it was a great team performance." Talking to journalists, the 25-year-old Pogba added: "We've won our two matches so far, you have seen that there are some very big teams here that have not managed that." France play Denmark on Tuesday in their final group game.